This is the skirt for the Suicidal Girl for “minus the sun, night all day” collection. I am making the blouse to go with this so it will make more sense when worn together but here it is, my first bubble skirt. I have been wanting to make one for a while. 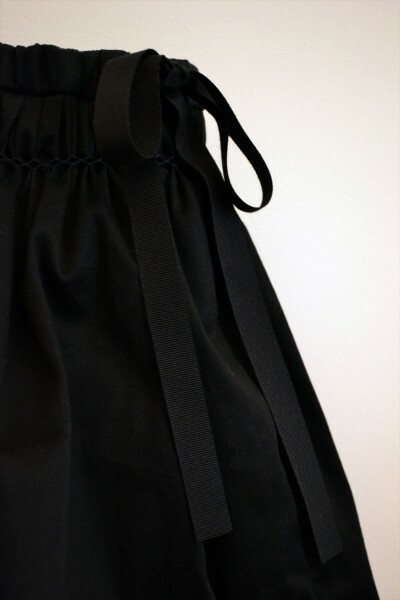 The concept is a single star in darkness and the black skirt represents the darkness. (The star bit will be represented in the blouse.) The phrase that came in my mind is “a star in the end.” I like the volume of it and the way the hem goes inside, making me think of a black hole. 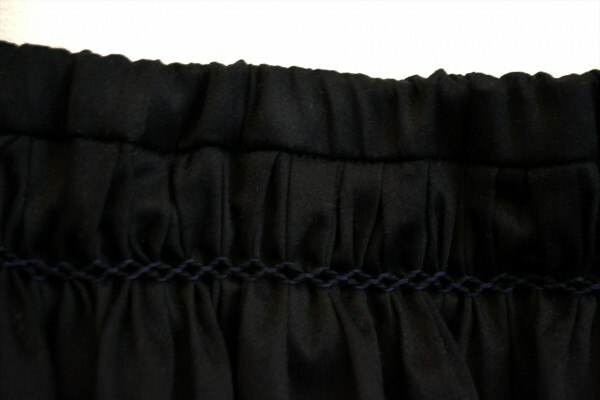 I have done some smocking near the waistline in navy just to emphasise the volume and the colour of the night sky. 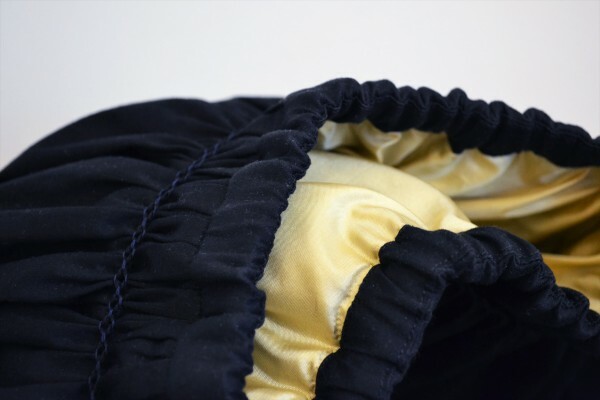 Made with black cotton sateen fabric, gold polyester lining, and black acetate grosgrain ribbon for the waist.